Origin uncertain, but the 1892 Boston/Central catalog notes it as “patented” with a patent pending on the Bold style. 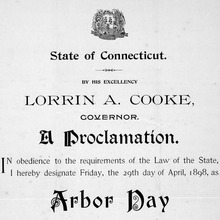 Issued by Inland as Extended Old Style . Cast in Germany by AG für Schriftgießerei and Schelter & Giesecke as Mediäval breit mager . Listed with a note “Centr. Typ. F., St. Louis 1840” in Seemann.